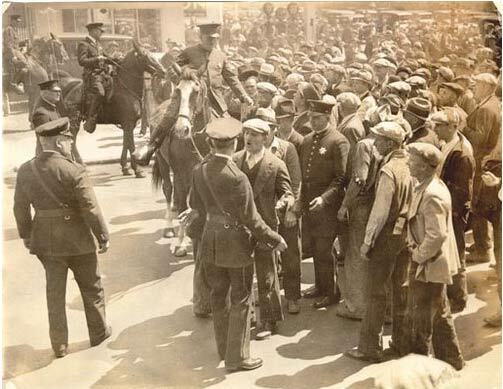 Protesters confronted by police, 1934. 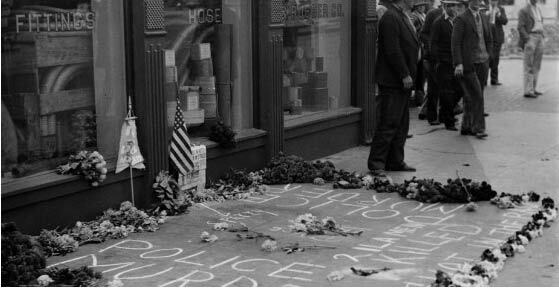 Site of the killed protesters with makeshift memorial. July 1934. 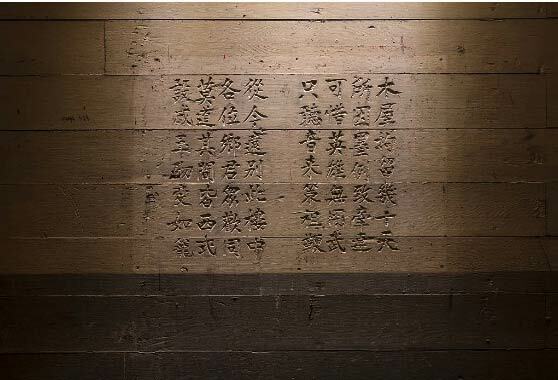 Chinese poetry carved into walls at Angel Island’s detention center, early 20th Century. Copyright 2013 Carol M. Highsmith, www.carolhighsmithamerica.com. 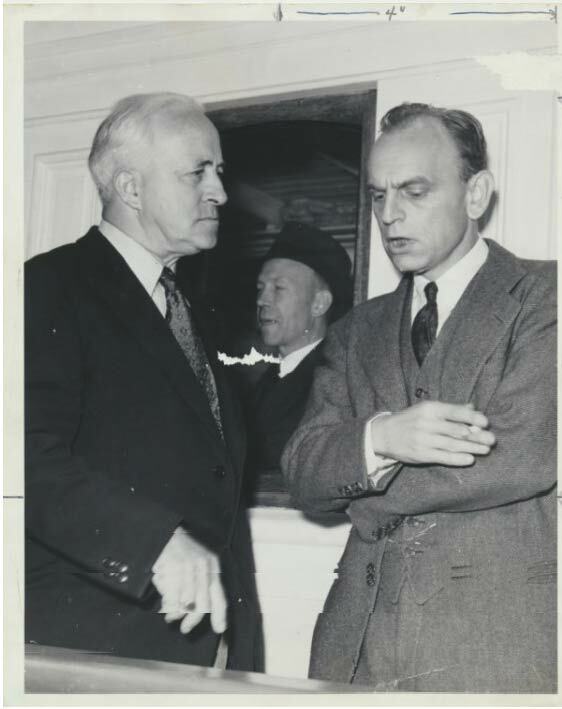 James Landis (right), Dean of Harvard Law School and trial examiner in first trial, 1939. 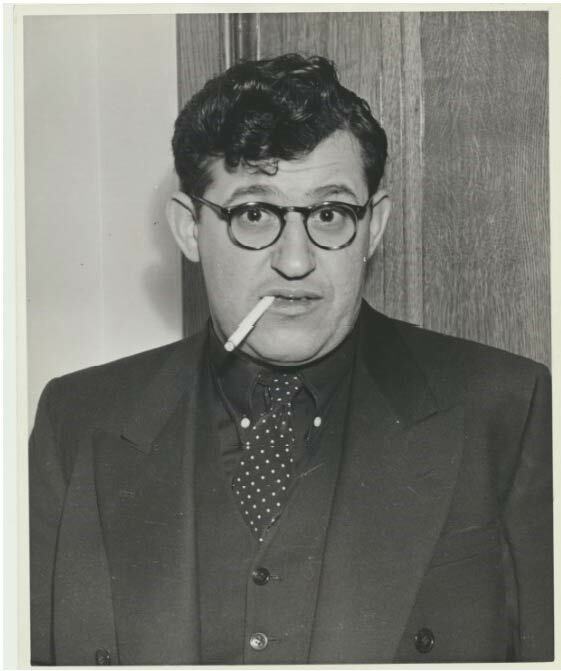 Vince Hallinan arguing to the jury, 1950. Courtesy of ILWU Archives. 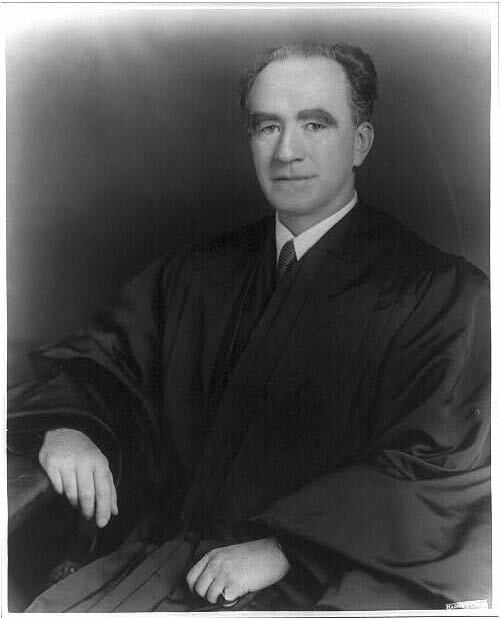 Justice Frank Murphy, United States Supreme Court, 1940-49. 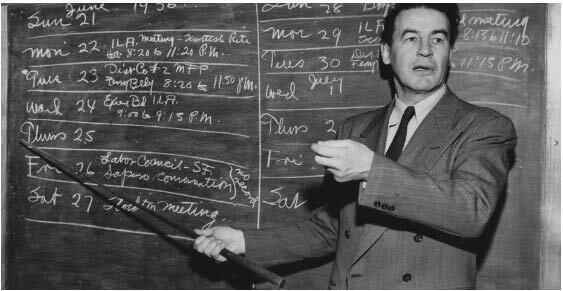 Harry Bridges discusses labor issues during the Great Strike of 1934. 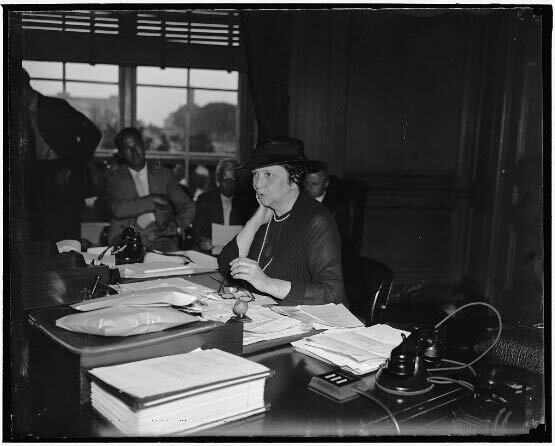 Frances Perkins, Secretary of Labor. First female Cabinet member in history and heavily involved in the investigations into Harry Bridges. Here she speaks to the Press on June 17, 1937 about labor disputes. 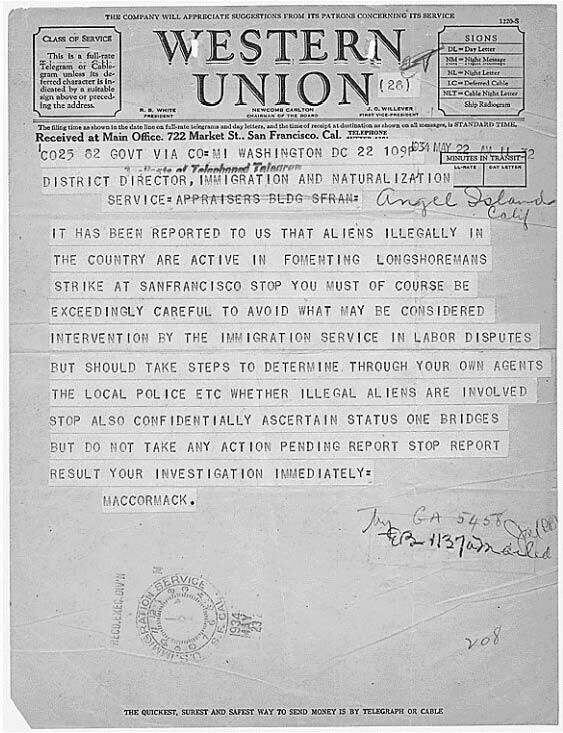 The original telegram issued by the INS warning of the threat of immigrants in the labor battles on the West Coast. 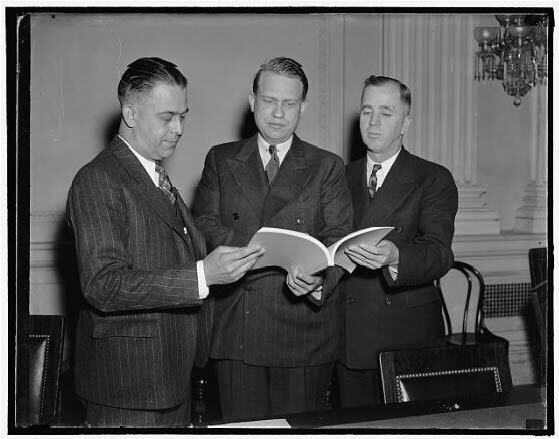 Harper Knowles (left), Representative Dies of the House UnAmerican Activities Commission (center), after Knowles testified, 1930s. 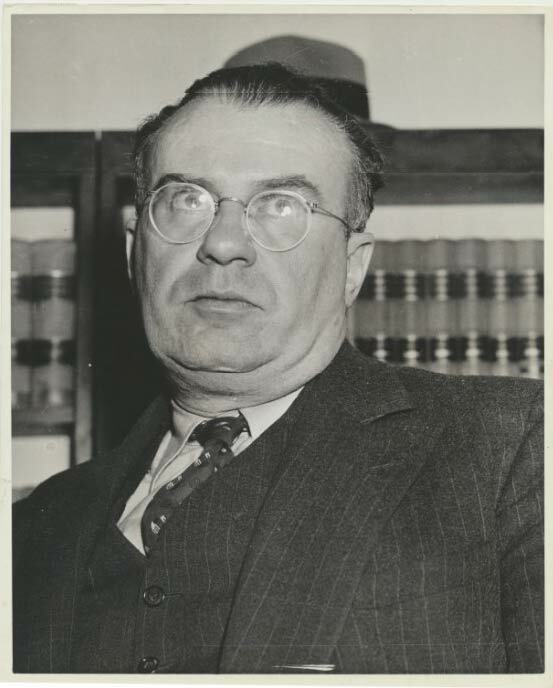 James O’Neil, megalomanic government witness from second trial. The BIA concluded he played Judas as well as Ananias. 1941. 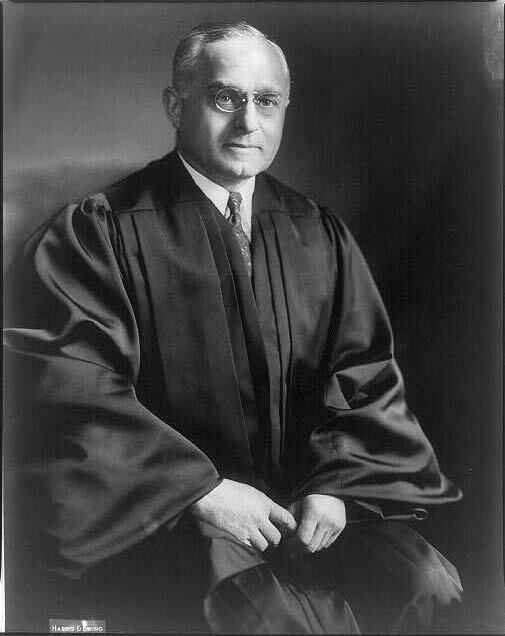 Justice Felix Frankfurter, United States Supreme Court 1939-62, the last foreign-born Supreme Court Justice in American history.